2015年5月来到儿童希望之家/Yuankai came to Alenah's Home since May 2015. 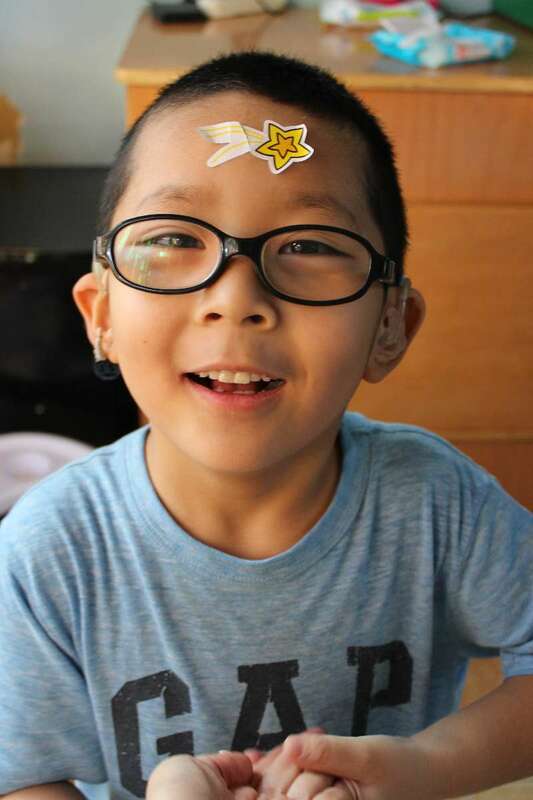 YuanKai,7 years old ,handsome boy but deaf and mute.His world used to be silent and quiet. and his world has a wonderful voice ever since. 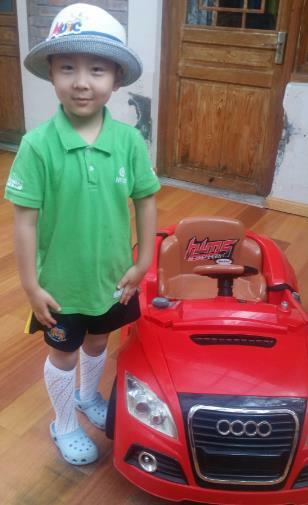 He receives voice therapy training everyday and he is able to issue simple syllables. He is caring and like a big brother to the children at Alenah's Home. We received the Tianyun Hearing Speech Rehabilitation Training Center and conducted professional training from Monday to Friday. Hopefully Yuankai can speak earlier . Rehabilitation costs are RMB 30,000.00 per year after the school's relief. 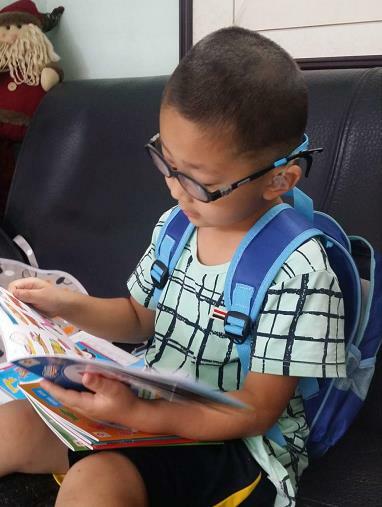 Under all volunteer's help ,Yuan kai now can go to school,may all the best to him. 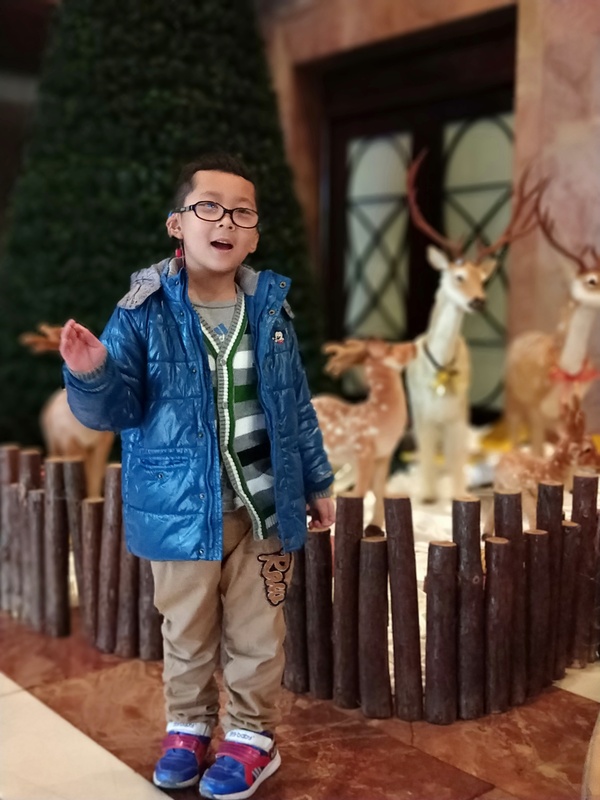 Yuankai has finished the first semester in Tianyun hearing speech rehab center. He can pronouce "Ayi, one to ten". He is making great progress! And Yuankai is willing to express himself with language. And he can write his own Chinese name. He can count number within 10 by his fingers. 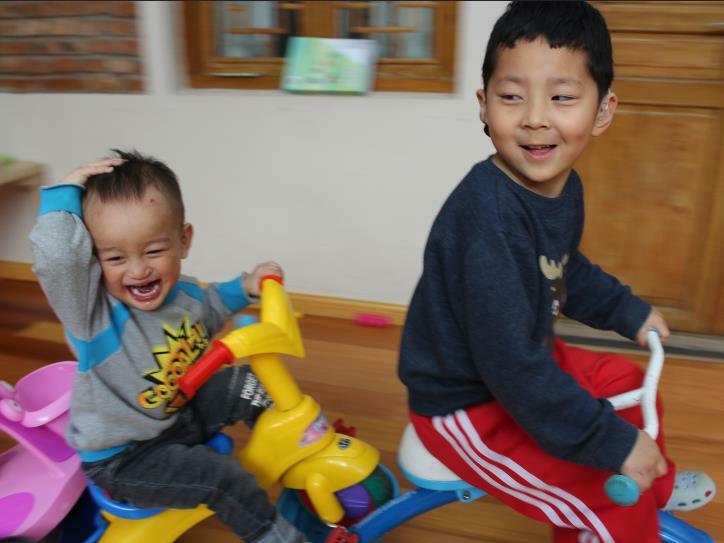 Yuankai is always a sweet big brother and he will help nannies take care little ones. And when he gets snacks, he will share with other kids. Hope with the professional training, his world will be full of beautiful sounds! thanks for your love to disabled orphan,please press below left button to donate.Thank you.